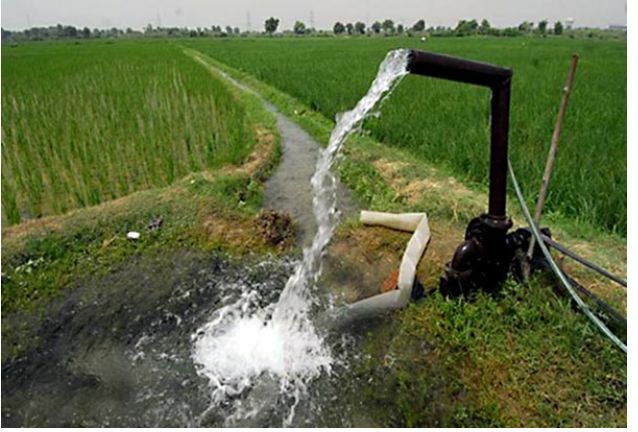 The government is bent on providing free irrigation to farmers starting next year, Agriculture Secretary Emmanuel Piñol said. “The President’s commitment of free irrigation will certainly be realized. When Duterte makes a promise, he makes sure it is fulfilled,” the Agri chief added. Duterte reminded rice farmers to organize themselves and make sure irrigation canals are well maintained as the government pushes through with its plan to provide irrigation water for free. Piñol has proposed an additional P4 billion in the 2017 budget of the National Irrigation Administration (NIA) to ensure free irrigation in 2017. The NIA had earlier suggested a budget of P36.8 billion for 2017. If the additional funding is approved, the agency’s allocation will amount to P40.8 billion. “By providing an additional funding, NIA will no longer depend on the collections from irrigation fees of farmers for the salaries of its officials and employees and for its operations,” Piñol said. NIA spokesperson Filipina Bermudez earlier said the 2017 budget is allotted for the construction, restoration, and rehabilitation of irrigation projects and existing irrigation systems. “The GAA (General Appropriations Act) for 2017 is not for PS and MOOE (personal services and maintenance and other operating expenses). It should be explicitly stated that part of the P40 billion is for PS and MOOE,” she added. NIA collects up to P3 billion in irrigation fees annually and relies on the fees for employees’ salaries and allowance, as well as funding for operations and maintenance of existing irrigation systems in the country. To achieve the government’s goal of free irrigation, Piñol sought the support of the Senate to implement the plan and fortunately gained positive feedback from Senate President Franklin Drilon and Senators Loren Legarda, Cynthia Villar, Koko Pimentel, Alan Peter Cayetano, Manny Pacquiao and Kiko Pangilinan. Piñol said Congressmen from different provinces including Leyte, Samar, Biliran and the Bicol region have expressed their support to the government’s free irrigation project. “I expect the free irrigation commitment of the president to sail through both the lower and upper houses of Congress smoothly,” he said. President Duterte issued his first executive order early this month, reorganizing the the Office of the President and reverting the NIA and Fertilizer and Pesticide Authority to the Department of Agriculture.